The 2017 rates are per person based on double occupancy sharing a guide and accommodations. For the Saryu River Float $4400. It is 10 days total with 5.5 days of fishing. For the Mahakali River float it is $2780. It is 12 days with 7 days fishing. The fishing is primarily for Golden Masheer. All of the fishing is done by wading, with rafts used to float the river and access water. Anglers use singlehanded and two handed rods. The water is usually clear, so it is easy to spot the Masheer. 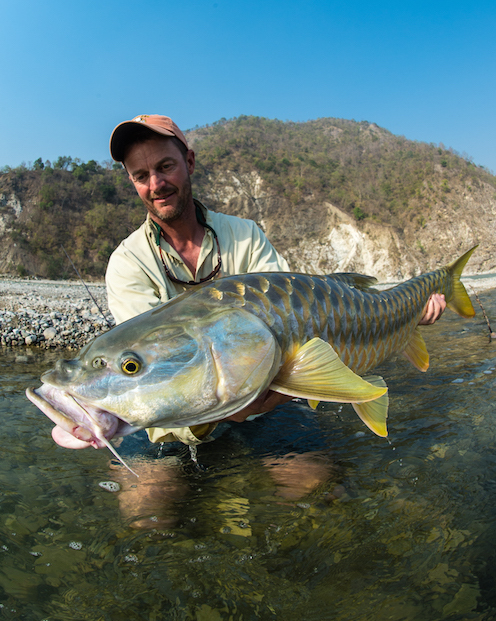 The gear, techniques and flies have evolved in the the last 15 years to make the larger fish a realistic possibility. A selection of Rio's MOW tips from intermediate to faster sinking should be in all angler's bag of tricks. 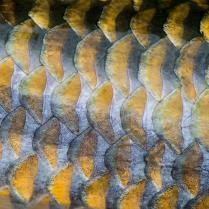 The fishing is not dredging as the fish move to and eat the fly. Each trip has specific dates for arrival, fishing and departure. 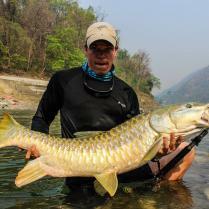 Anglers may want to arrive early or stay after the fishing week to visit the Tiger Reserve, the Taj Mahal or other options. If there is an intact group of 6, alternate dates may be a possibility. 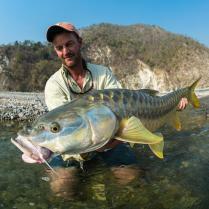 Saryu River Float Trips - When anglers arrive in Delhi they will be met and taken to a 5 star hotel. This is where you will spend your first and last night. 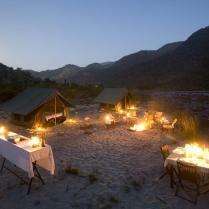 Fishing accommodations are in safari style tents. 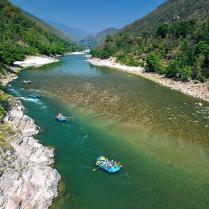 Mahakali River Float Trips - When anglers arrive in Delhi they will be met and taken to a 3 star hotel. This is where you will spend your first and last night. 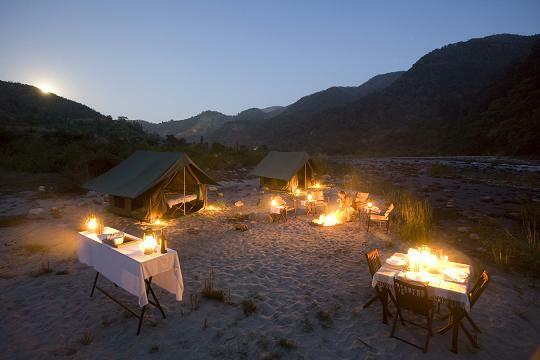 Fishing accommodations are in safari style tents. While on the float trip there are limited non-fishing activities. 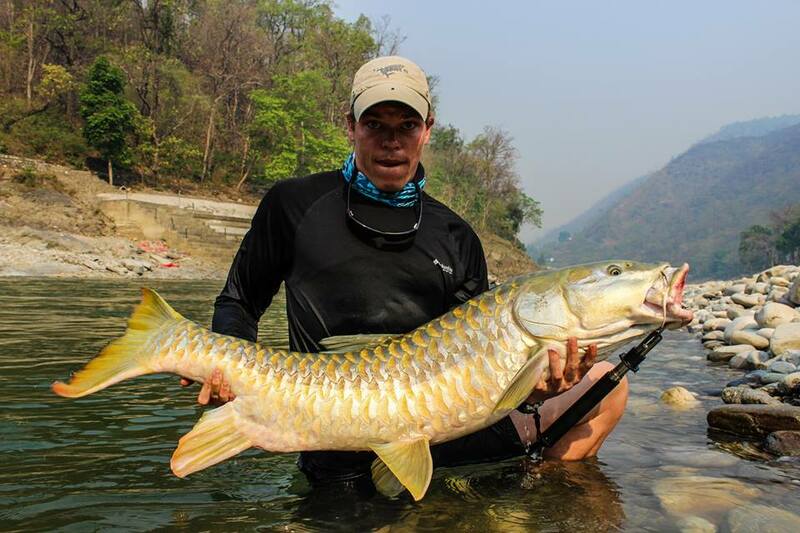 There are options before and after the fishing as well as the possibility to have a separate guided non fishing adventure while your partner is on the river. Anglers fly into Delhi, are met and transferred to a hotel to overnight there. The next day they are transferred to the domestic airport, followed by a 1 hour flight. There you will be met and driven the lodge at Te Aroha, Dhanachulli. The next morning you will drive to the launch point and float to the first camp. Driving time is about 5 hours. On the last day the return trip is the same, with vehicle transfer to the airport, flight back to Delhi and an overnight in Delhi. This is the foothills of the Himalayas, It can be warm and even hot later in the spring, but it cools off at night. 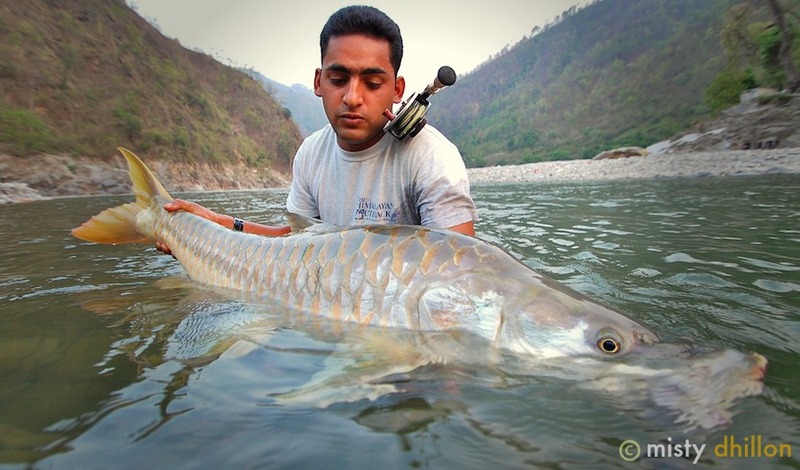 Saryu River - All meals on the float trip, meet and greet in Delhi, an overnight in Delhi at a 5 star hotel on arrival and departure, nights accommodations in transit, RT flight from Delhi, 5.5 days of guided fishing, hosted by owner Misty Dhillon and all meals except in Delhi. 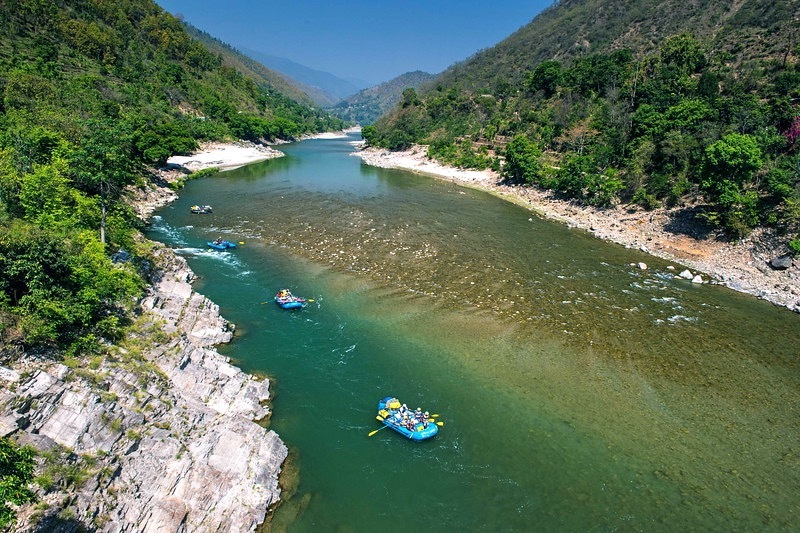 Mahakali River - All meals on the float trip, meet and greet in Delhi, an overnight in Delhi at a 3 star hotel on arrival and departure, nights accommodations in transit, RT flight from Delhi, 5.5 days of guided fishing and all meals except in Delhi. Beer, wine or spirits, food in Delhi, gratuities, fishing gear and flies. Credit cards are accepted in Delhi, but not in the rural north. 10 to 15% of the total trip cost. You are a long way from western medicine. Medevac is a must. On the river there are the rocks:). Since each stop in transit is only one night it is difficult to have laundry done. 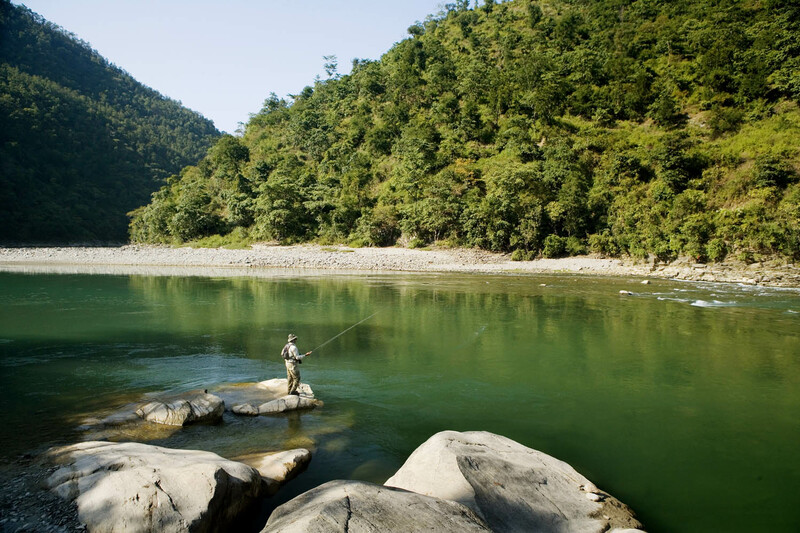 Fly fishing in the foothills of the Himalayas for the fabled Golden Masher is definitely worth the journey. 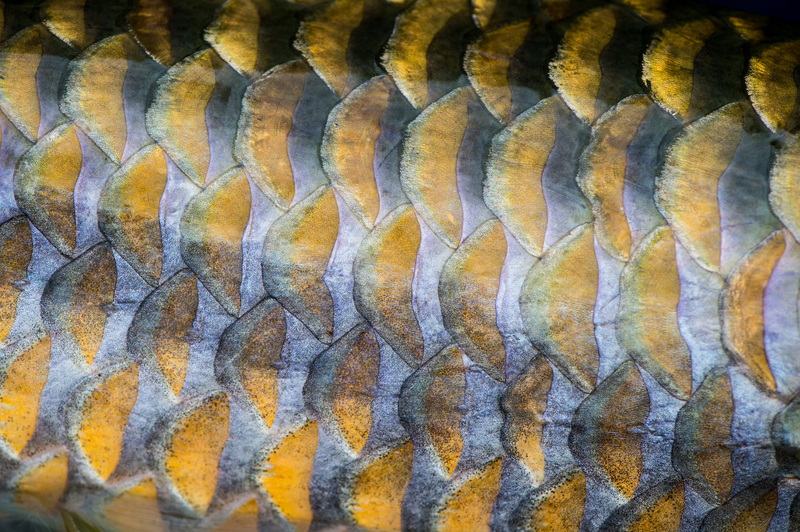 While this is very exotic it will be familiar to anglers who have swung flies for Steelhead, Atlantic Salmon, Sea Run Browns, Pacific Salmon or Golden Dorado. Masheer eat other fish and are predators. 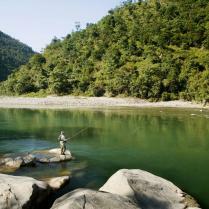 Fishing is on rivers in the Northern part of India where it borders with Nepal in Uttarakhand Province. It is quite remote, with small villages and wild. At no time during this trip do you need to figure out your own transport, food or accommodations. It has all been set up by the experienced staff and owner of Himalayan Outback Misty Dhillon. 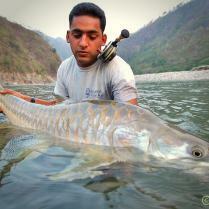 He is a passionate angler that knows hospitality and attention to details enroute and on the river. Once you land in Delhi, you will be met and taken to a 5 star Hotel. The groups are 4 to 6 anglers. The guides are local and can really cast and fish. They really know the water and are passionate about fly fishing for Masheer.